There are two ways you can get close to a new 200e analog synth from Buchla. Either (1) Spend $19,850 for an 18-panel unit or (2) Be Jim Aikin, and review it for Keyboard. I can’t think of anyone more qualified than Jim to be deserving of reviewing the 200e, since Jim has written about synths for Keyboard for almost three decades. If you missed the print version, the online version above is well worth reading. Jim’s a realist: he notes that Max/MSP or Reaktor could give you more synthesis depth at about 1/50 the price of a 200e. But he can also appreciate some of the unique beauty of this design from one of the great pioneers of electronic musical instruments. 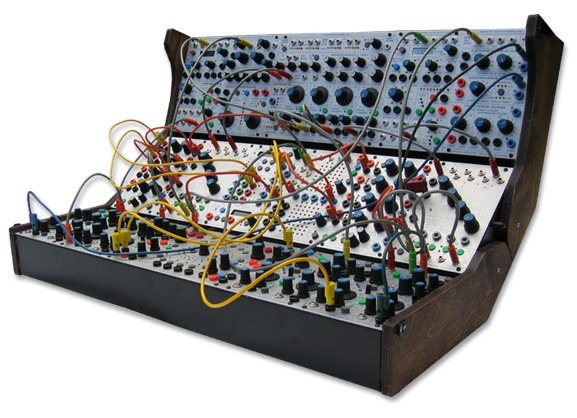 I have fond memories of using the original Buchla modular in college, so I can’t say I’m not jealous. (And from those I’ve talked to, it sounds like Don Buchla, unlike Moog or ARP’s Alan Pearlman, is unlikely ever to allow an “authorized” software clone of his synth, so don’t expect to run this in Cubase any time soon.) Just don’t feel too jealous of Jim: he had to give the thing back, as far as I know. Before you knock the design: can your modular synth fold up into a case?